Ecotoxicology is a scientific discipline combining the methods of ecology and toxicology in studying the effects of toxic substances and especially pollutants on the environment. Nanotoxicology is a branch of toxicology concerned with the study of the toxicity of nanomaterials. 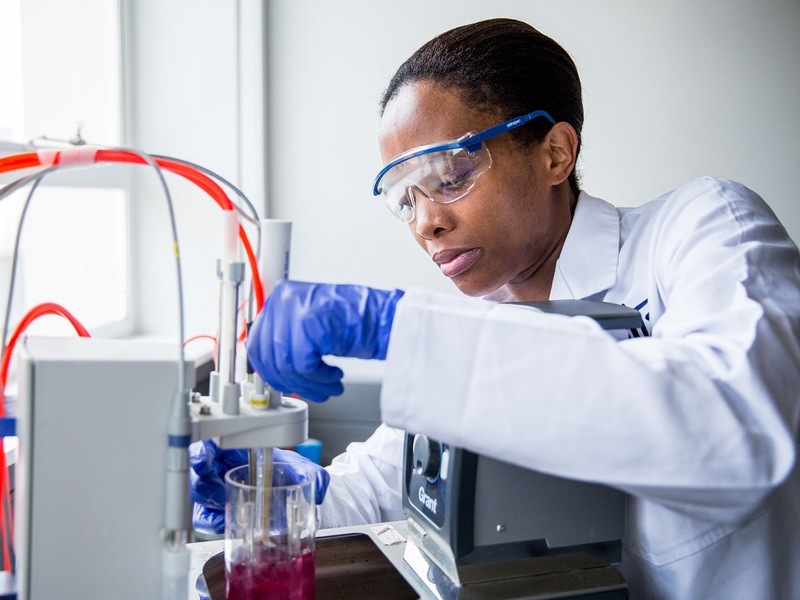 The CSIR is a leader in the research effort to fill an important gap in understanding the environmental, health and safety risks associated with nanotechnology in South Africa. Research and development inputs include managing water-related problems including investigating the environmental impacts of engineered nanomaterials, largely focusing on their ecotoxicology, fate and behaviour. The last decade has seen a drastic escalation in both the production and use of nanoparticles. Specifically, metal nanopollutants (such as silver nanoparticles) are already being used in several commercial and domestic productions including textiles, cosmetics and personal hygiene. Subsequently, the risk of environmental contamination by nanoparticles continuously increases. Because of their size effects and large surface-area-to-volume ratio, nanomaterials have unique properties compared to their larger counterparts. As such, nanotoxicological studies are intended to determine whether and to what extent these properties may pose a threat to the environment and human beings.